The Lyons Group presents this retelling of Washington Irving's classic story The Legend of Sleepy Hollow. 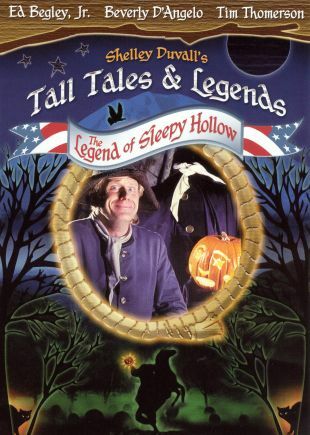 Part of Shelley Duvall's American Tall Tales series, American Tall Tales: Legend of Sleepy Hollow features Ed Begley Jr. as Ichobod Crane, the cowardly school teacher forced to face the infamous headless horseman. Released in 1987, the program is designed for young viewers and co-stars Beverly D'Angelo and Charles Durning.